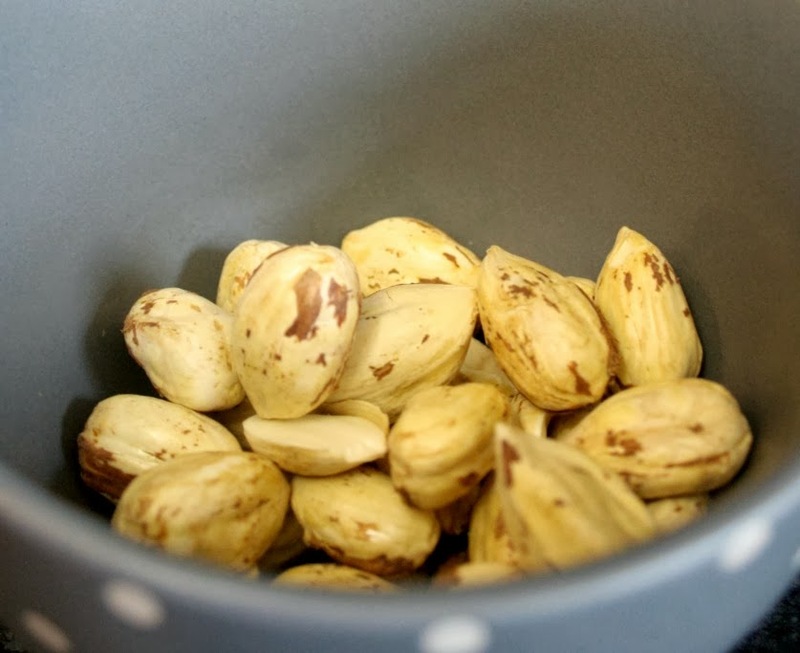 I found the best way to crack them open was to peel the husk back to expose the nut and use the husk as something to hold onto while bashing the nut with a hammer...people who have a well stocked kitchen might want to use a meat tenderiser or a nut cracker. However you choose to crack the shells, watch out for your fingers! 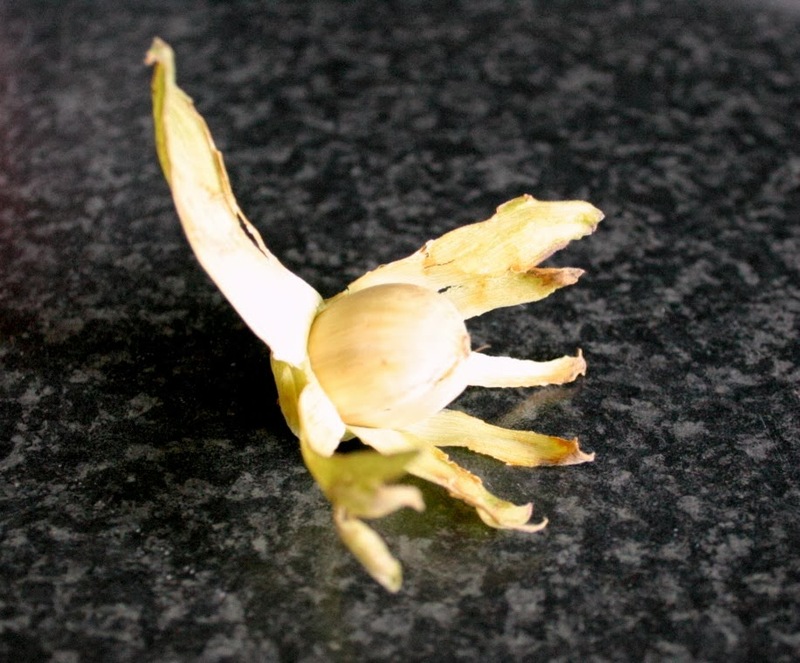 Once cracked, the cobnuts are quite easy to get out. I had a few duds but that's nature for you! 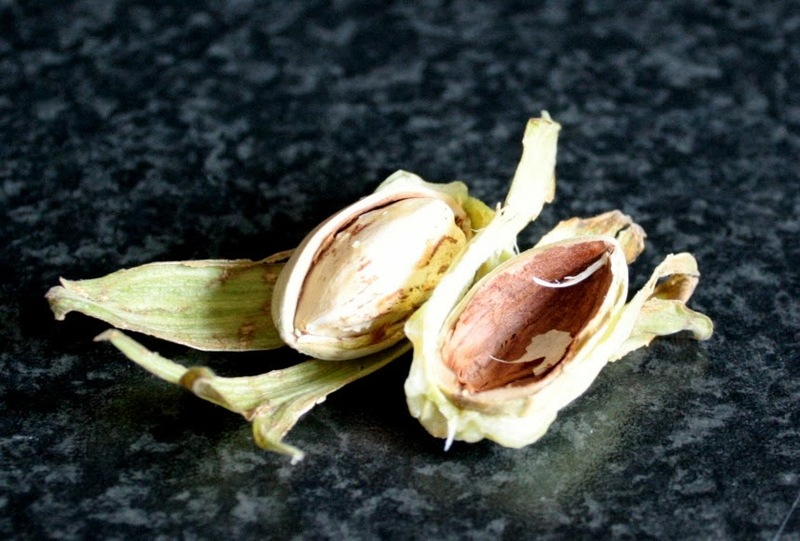 Once taken out of the shell you get a pale and waxy looking nut that it larger than an almond but more rounded like the hazelnut its related to. 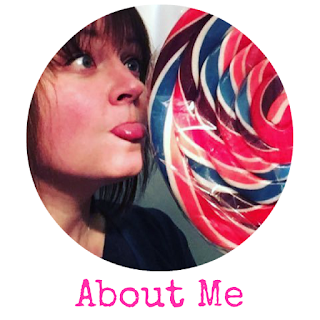 I had a little nibble before roasting as I heard that they had a coconutty taste - I didn't get that at all. 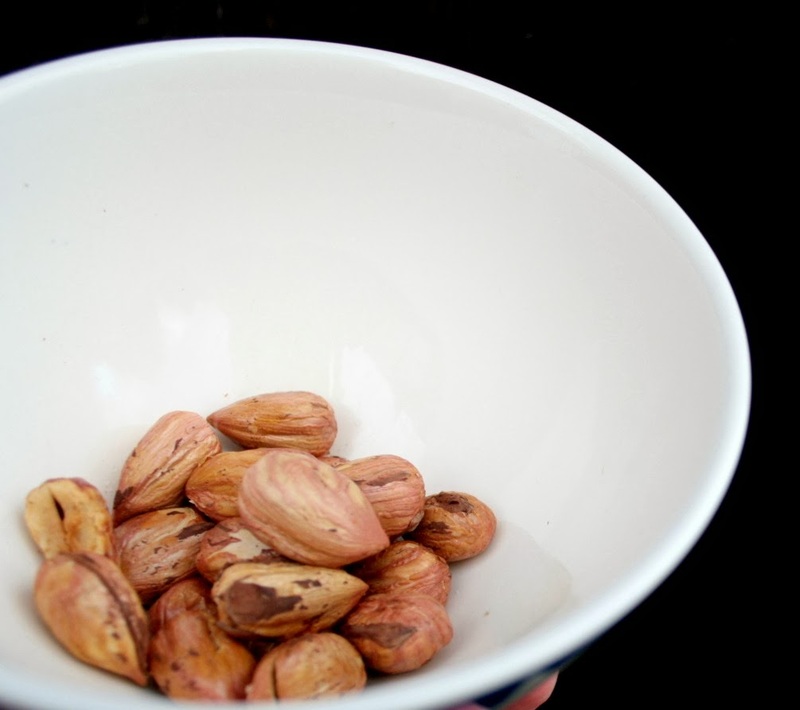 The raw nut has a nutty flavour but is more earthy than normal niuts. 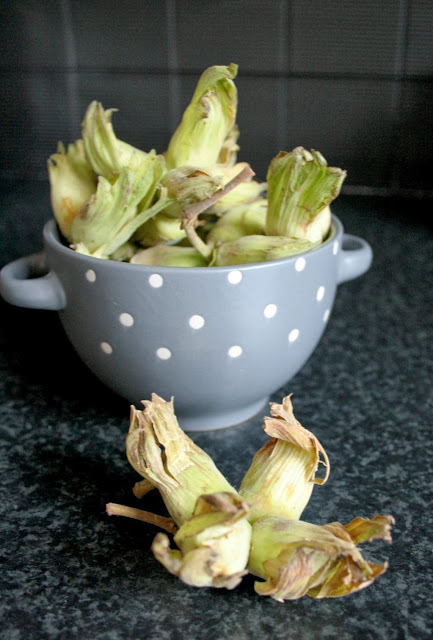 If you haven't got time to roast cobnuts you can microwave them...put them in a microwave safe dish and nuke them for around 3 minutes or until crisp - I put a small handfull in a bowl and microwaved 3 minutes then sprinkled with salt. Delicious! 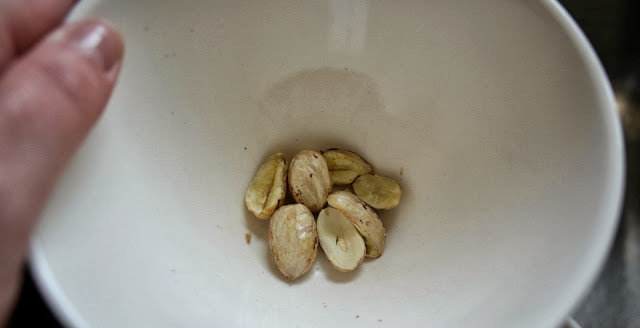 While I was microwaving I had the rest of the cobnuts roasting. 150C for about 45 minutes. Bake the cobnuts until they are a light golden brown. The microwaved nuts were quire nice - they need to be a bit crispy and a little sprinkle of salt helps. 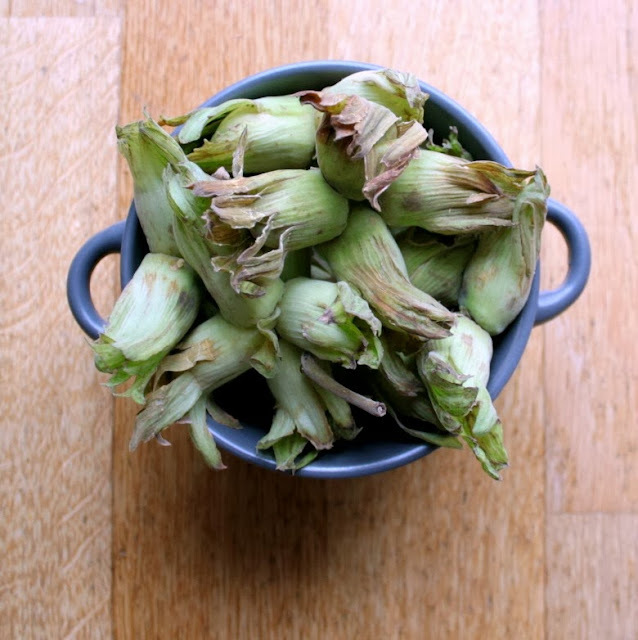 Roasted cobnuts are lovely! They taste kind of like a cross between an almond, hazelnut and a bit of coconut. 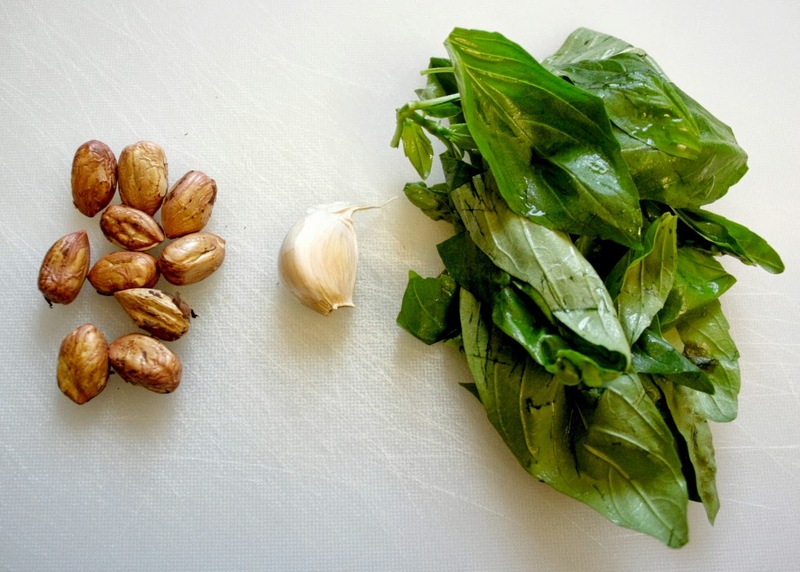 I wanted to keep it simple with the roasted cobnut so made a really easy pesto. 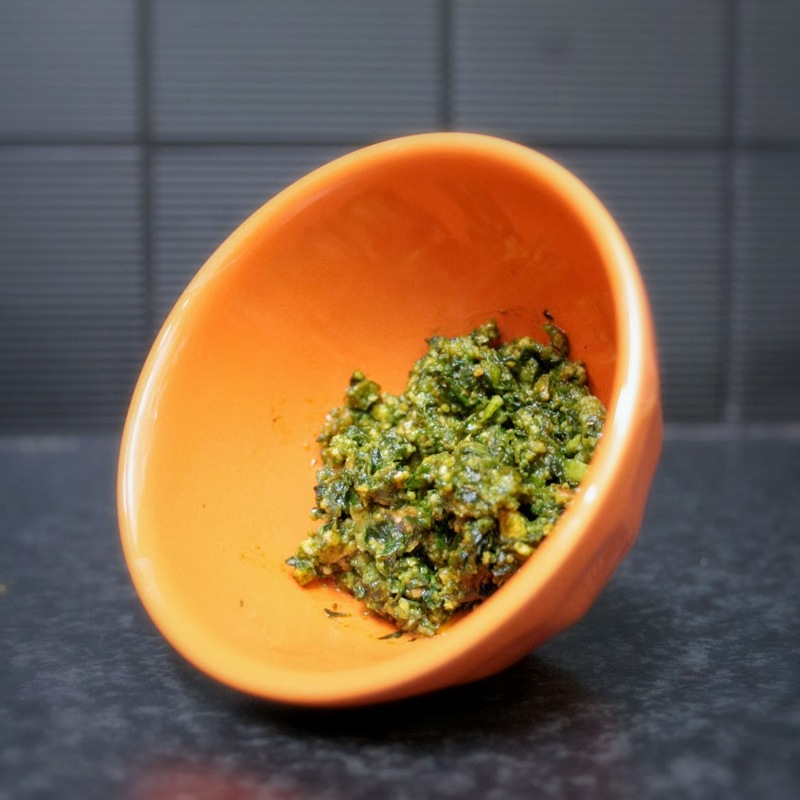 The roasted nutty flavour of the roasted cobnuts made the pesto the best I've tasted for a long time! I ripped up the basil and then blitzed everything with my stick blender (I REALLY need to get one of those little food choppers!) and that was it! 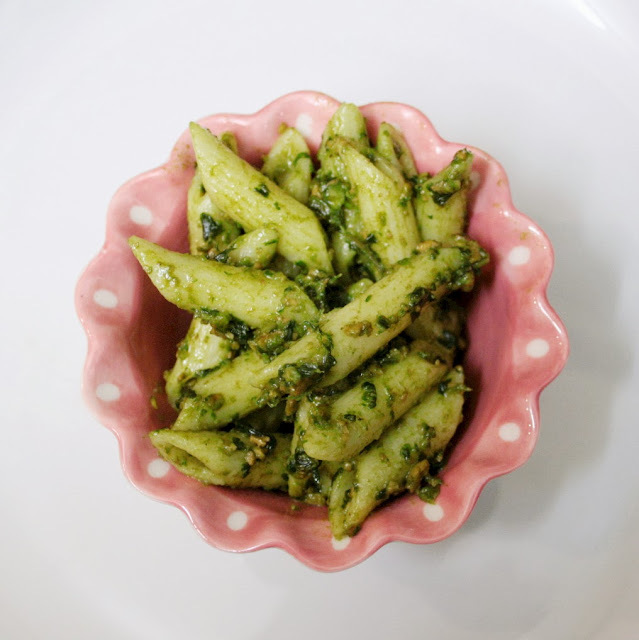 You can change the quantities of the ingredients if you prefer your pesto to be a little more garlicky or a bit more cheesy.